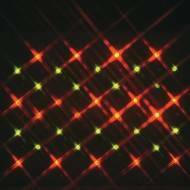 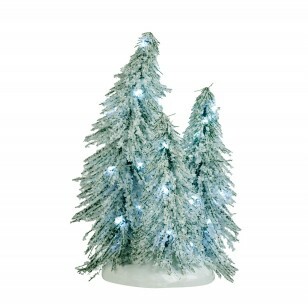 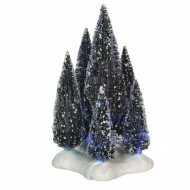 Lemax 36 Chasing Mini Light Set, Multi Color, Battery Operated Item 54385 Features ..
A cluster of 6 trees on a single base with multicolor fibre optic lights. 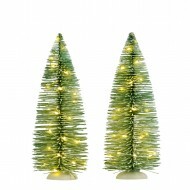 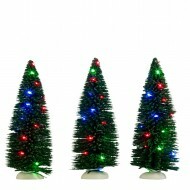 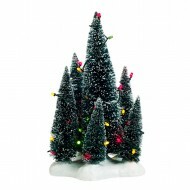 Battery operated using 2 A..
A cluster of 3 trees on a single base with multicolored LED lights. 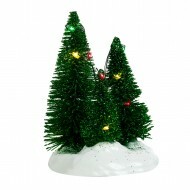 Battery operated using 2 AA Batt..